Priscilla Gale studied at Juilliard and the Cleveland Institute of Music. In addition, she continued her studies in Rome, Italy with the late-famed Luigi Ricci, and from there to the American Institute of Musical Studies in Graz Austria. While at AIMS, she was a Finalist in the Die Meistersinger Competition and received a recording contract with the Swiss-Italian Radio Orchestra in Lugano, Switzerland. She has been a Winner in the 92nd St. Y Competition In New York City, a Finalist in the YWCA Studio Club Competition, a Finalist in the Bel Canto Foundation, a Finalist in the Queens Opera Competition, Queens, New York, a Finalist for the Opera Company of Philadelphia/Luciano Pavarotti International Voice Competition, and a recipient of two Massachusetts State Arts Lottery Grants for the funding of two public recitals. She has also been twice a Finalist in the Metropolitan Opera New England Regional Auditions. Her distinquished performances on the concert and operatic stage include appearances with the Greeley Philharmonic, Manchester Symphony, Arizona Opera, Southwest Florida Symphony, Ft. Wayne Philharmonic, Johnstown Symphony, Billings Symphony, Paducah Symphony, Lexington Philharmonic, Lynchburg Symphony, Charlottesville Symphony, New Britain Symphony, Worcester County Music Association, Annapolis Chamber Orchestra and Chorale, Monadnock Symphony & Chorale, Wellesley Symphony & Chorale, Nashua Symphony, Symphony Pro Musica, Boston Classical Orchestra, Concord Orchestra, Newton Symphony, Salisbury Lyric Opera, Opera Company of Boston, Opera New England, Connecticut Concert Opera, Greater New Britain Opera Association, Boston Lyric Opera, Southwest Virginia Opera, Ash Lawn Opera Festival, Opera at Florham, the Ensemble Theatre of Cambridge, and the Boston Aria Guild . Ms. Gale has most recently recorded with Gerard Schwartz and the Seattle Symphony. Ms. Gale's performances include appearances with the Annapolis Chamber Orchestra in their performance of Verdi's Requiem, as well as the Greeley Philharmonic's performance of Verdi's Requiem, Arizona Opera Company in the role of "Violetta" in Verdi's La Traviata, Annapolis Chamber Orchestra & Chorale in the Maryland premier of Paul McCartney's Liverpool Oratorio, the Johnstown Symphony in Carl Orff's Carmina Burana, Wesleyan University Orchestra and Chorale in a performance of Michael Tippett's Child of Our Time, Billings Symphony Orchestra in Mendelssohn's Elijah, Annapolis Chamber Orchestra & Chorale in Andrew Lloyd Webber's Requiem, Lexington Philharmonic Kentucky in Handel's Messiah, the Indiana Hill Chamber Orchestra in two performances of Orff's Carmina Burana, the Southwest Florida Symphony in Mahler's Symphony No.2, the Paducah Symphony in an evening of verissmo arias, and a Christmas Concert with the New Britain Symphony. 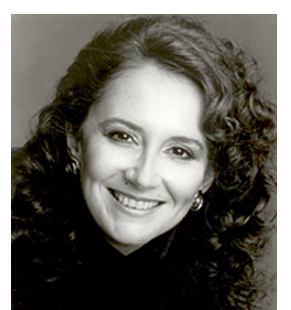 Ms. Gale most recently performed the role of "Violetta" in Verdi's La Traviata with the Salisbury Lyric Opera Company. "Gale's voice was noticeably strong and certain, and aggressively pursued the stringent demands in range and tone that Verdi Requires of his soprano. At the same time, she was capable of singing the softer arias with delicacy and restraint." During the 1992, 1993, and 1994 holiday seasons, she performed her 7th "Rosalinda" with Johann Strauss' Die Fledermaus with the Boston Aria Guild. Her performance with the Greater New Britain Opera Association in the role of "Mimi" in Puccini's La Boheme was hailed as "a rich soprano voice and winning manner...the third act belongs to Mimi and Priscilla Gale sang the tender, heartfelt arias with emphasis on their fragile beauty, her gorgeous voice full of emotion and sadness. 'Donde Lieta' was transcendent. It was a moving performance." Her portrayl of "Violetta" in Verdi's La Traviata also with the Greater New Britain Opera Association was warmly and enthusiastically received both by public and critics alike. "Priscilla Gale sang superbly as Violetta...The love arias and duets were exquisitely done and Miss Gale was especially expressive in the final act...She was indeed a lovely Violetta." She performed in the American premier of David McKay's As I Lay Dying in the role of "Addie" in Oxford, Mississippi. Her appearance with the Concord Orchestra in the role of "Lady Macbeth" in a concert version of Verdi's Macbeth, was reviewed "The evening belonged to Priscilla Gale...Her voice has the power, drama, and agility to meet the demands of the role...she created dramatic emotion and evil-aura musically and visually with spontaneous sensitivity. Her phrasing, tone, colors, nuances and dynamics indicated a complete understanding of the music and character." Ms. Gale has appeared extensively throughout the United States with a number of chorale and orchestral organizations, performing such works as Mahler's Symphony No. 4 and Symphony No.2, Handel's Messiah, Haydn's Lord Nelson Mass and Creation, Mendelssohn's Elijah, Bach's St. Mathew Passion, Poulenc's Gloria, Faure's Requiem, Beethoven's Nineth Symphony, Mozart's Mass in C Minor, Mendelssohn's Elijah, Mendelssohn's Hymn of Praise, Rossini's Stabat Mater,Debussy's L'Enfant Prodique, Tibbett's A Child of Our Time, Webber Requiem, and Villa Lobos' Bachianas Brasilieras No. 5. "Miss Gale possesses a magnificantly colored and refined voice that is able to convey great power, drama, and depth of feeling." She appeared as soloist in Orff's Carmina Burana with the Nashua Symphony and the Charlottesville Symphony. "Gale's unaccompanied voice silencing a full auditorium, soared with perfect accuracy to a high D which was as emotionally powerful as it was technically impeccable." Ms. Gale was a Guest Artist in a Gala Performance for the opening of the new Performing Arts Center in Tampa, Florida. Ms Gale was a founder of the Boston Aria Guild and is a member of the voice faculty at Wesleyan University in Middletown, Connecticut. She is also on the music faculty at the Pomfret School in Pomfret, CT, and teaches Music History at the Middlesex Community College, Middletown, CT.